Introduction: It's that time again. Right before the ICAST show TackleTour is the first to bring you the latest inside scoop on the soon to be unveiled products from Quantum and their recent acquisition, Fin-Nor. Let's see what's in store for both fresh and saltwater anglers from these brands. Fin-Nor AHAB�: Have you visited Fin-Nor's website lately? If you haven't you'll notice that the website is in the process of a major makeover, getting ready to introduce new items like this stunning reel you see before you. The Fin-Nor AHAB� is one of the two spinning reels that will be introduced this year at ICAST. 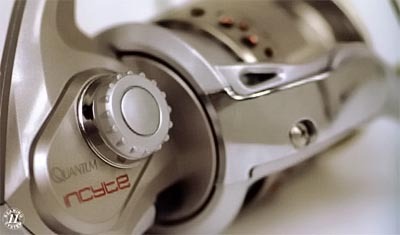 The AHAB� will be their top of the line spinning reel sporting all the brand's advanced features including the MegaDrag�, a forged aluminum spool, a machined stainless steel drive gear, a pinion gear and center shaft, all-aluminum body and rotor, magnetic Continuous Anti-R reverse, and 5 bearings. The series will feature four different IGFA line class reels from 8 to 20 pound class. Fin-Nor OFFSHORE�: The second spinning reel that will be introduced is the OFFSHORE�. 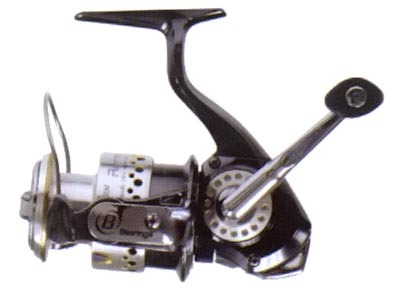 This reel comes in 4 different sizes that has good line capacity for those big game hunts during offshore adventures. 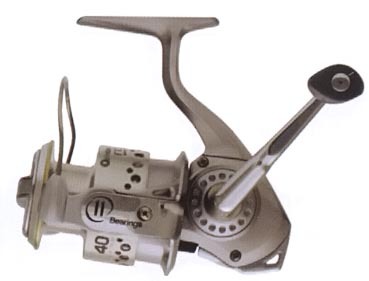 As you can see from the pictures below this reel is just as attractive as the AHAB� and features an aluminum body, rotor and side plate, machined stainless steel drive gear, pinion gear and center shaft, 4 double-shielded stainless steel bearings, and an oversized multi-stack offshore drag system. 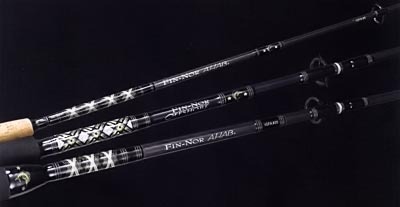 Fin-Nor Rods: Fin-Nor couldn't release new big game spinning reels without complimenting rods. So they have also developed a series of inshore and offshore models. The AHAB� (Inshore) is specified for the IGFA 8 lb. class, and comes with a high-modulus graphite blank, Fuji DPS reel seat, and AA Flora cork handle. The larger of the two AHAB�'s, AHAB� (Offshore) is of IGFA 12, 16, and 20 lb. class. These rods use heavy-duty E-Glass composite blank, Fin-Nor's aluminum reel seat, Fuji Hardloy guides, and soft EVA handle complete with gimble. 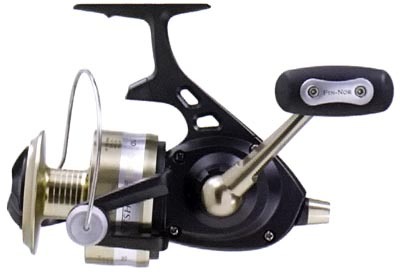 Quantum Incyte�: Not much is going on with the freshwater PT reels this coming season, but Quantum did replace their top end non-PT spinning reels. 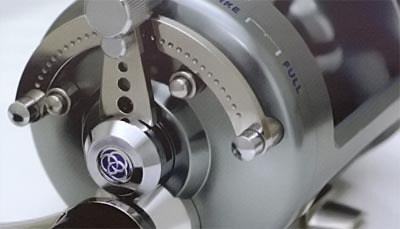 The Incyte� is now their top of the line spinning reel that is not in the Performance Tuned series. The Quantum Incyte� is designed with an ultra-thin graphite body, aluminum side cover and spool, 3-piece spool with Titanium lip, front drag system, machined aluminum handle, and 10 stainless steel bearings plus 1 Continuous Anti-Reverse clutch bearing. 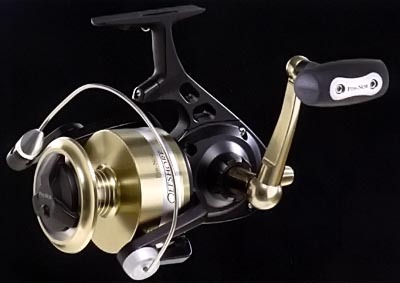 Quantum Array�: The Array� is another new spinning reel being introduced for 2007. 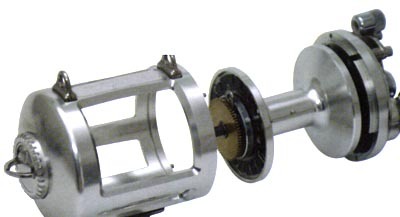 This reel features everything on the Incyte� but has only 8 stainless steel bearings instead of 11. Like the Incyte�, the Array� also comes in 4 popular freshwater sizes; 10, 20, 30, and 40. Quantum Aruba� PTs: Since the introduction of the Performance Tuned Saltwater reels, the public has been utilizing these reels from coast to coast targeting different species in many regions. But there was a missing piece of the puzzle. Quantum lacked an offshore big game trolling reel. For 2007 they have answered with the "buff" Aruba� PTs. This reel is for serious anglers who are out targeting big fish in the deep blue ocean around the world. Built to battle big game it is a 2-speed reel armed with gear ratios of 3.2:1 and 1.7:1 for serious torque when power is required. The Aruba� PTs make use 5 of Quantum's new Nitrogen-Alloy PT bearings, their exclusive dual-carbon drag system with oversized carbon drag washers, and the very popular high-performance Hot Sauce lubrication. The offshore reel is constructed from CNC machined billet aluminum, stainless steel PT gears, 3-bearing supported spool (5 bearings total in the reel), and double-anodized with a protective finish. Also what's nice about the Aruba� PTs is that they do not require any tools to take the reel apart when it's time to perform maintenance and cleaning. 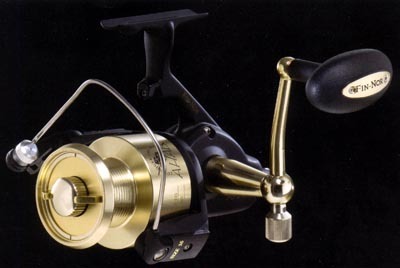 This reel comes in three different sizes with line capacities of 750/20, 750/30, and 600/50 for the largest in its class. 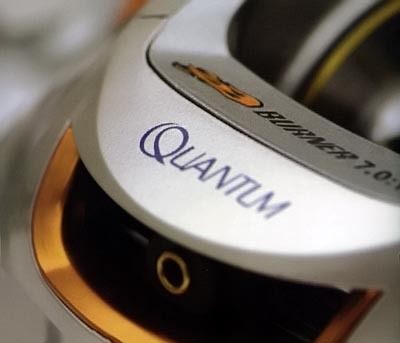 Quantum Cabo and Boca PTs: The Cabo and Boca PTs saltwater spinning reels have taken anglers by storm. For 2007 Quantum will introduce three new sizes, two at the large end for big game hunters and the other in the 20 size for light inshore species. Now each family will have a total of 7 different sizes to match each angler's specific needs. 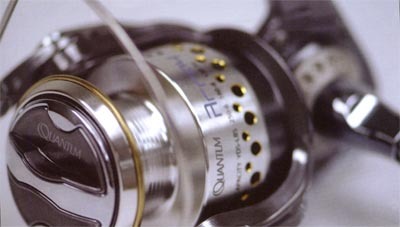 Quantum Energy PTs: Last year we saw the introduction of the Accurist PT Saltwater baitcast reel. 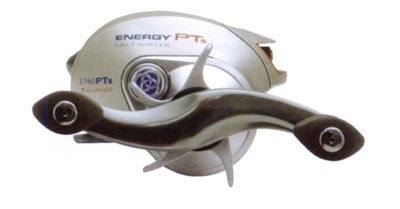 This year Quantum continues to up their saltwater specific reels by releasing the Energy PTs. This reel might appear to be similar to its freshwater counterpart but the Performance Tuned Saltwater baitcaster is a beast of its own. The Energy PTs has a CNC machined aluminum frame, sidecovers and front support, and is completely protected by Quantum's proprietary Saltgard 6-layer corrosion coating. 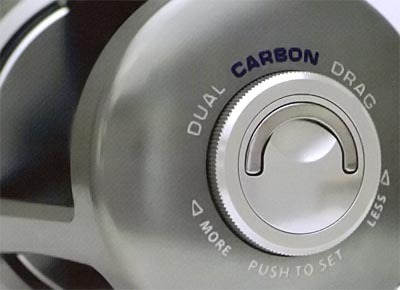 Other features include a ceramic drag system, 7 PT bearing system which includes 2 nitrogen-alloy bearings, Infinite ACS external cast control, dual PT bearing Continuous Anti-Reserve, Ceramic Zirconia level-wind design, cold-forged 1-piece capless & screwless handle, and Quantum's extra-durable PT gears. Like the freshwater models, the Energy PTs will have a Burner model that sports a blazing fast 7.0:1 gear ratio. Conclusion: So what's new in the Quantum family? The push into salt has been a success for the company and the latest offerings demonstrate the company's commitment to driving forward...one reel at a time. The acquisition of Fin-Nor put another legendary brand into the fold, and anglers can expect a resurgence of high quality products from the legendary make. The previewed spinning reels look loaded for battle with the biggest fish, and we look forward to seeing the actual products at ICAST just a few weeks away. Zebco/Quantum always puts on a great show, and with both Fin-Nor and Van Staal in the mix our expectations are at an all time high from the complete family of brands.